Truck sales for trucks in February 2010 are up six percent, compared to February 2009. Fullsize truck sales increased seven percent, while compact truck sales increased three percent. Ford fullsize trucks have seen strong sales increases, with the F-Series easily outselling both GM fullsize pickups, the Chevrolet Silverado and GMC Sierra, combined. On the compact truck side, Nissan Frontier sales in February 2010 show a 56% gain over February 2009, while GM's midsize Colorado sales have slumped 26%. The Colorado has dropped to the back of the pack ahead of only the Dakota and its sibling, the GMC Canyon. Dodge truck sales are slowing, with the Dakota showing a 33.2% decrease and Ram sales dropping 28.9% in February. 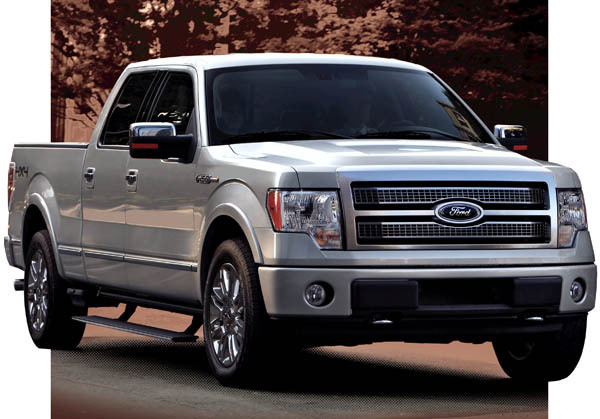 Overall truck sales in 2010 remain relatively flat. A strong February made up for sales losses in January. Compared with the same period 2009, year-to-date sales are down just one percent.